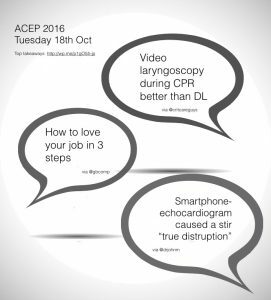 ACEP16 is the American College of Emergency Medicine 2016 Medical Conference. 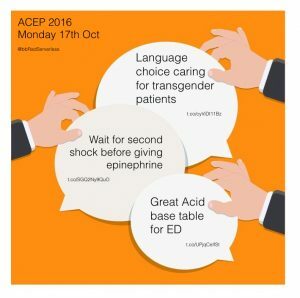 Thousands of emergency medicine professionals from around the globe gather annually to attend ACEP’s flagship event – the premier event in the emergency medicine specialty. Below is a day-by-day highlight of what we learnt. I hope it’s helpful for you. Want to share it with someone? 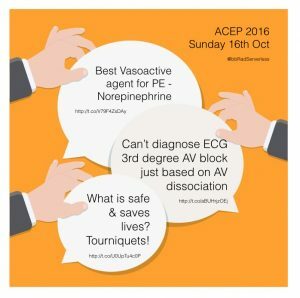 What is safe & saves lives?